HauteLook may be the end of me. I had been attempting to avoid the private shopping site for the last month or so when a friend from Twitter informed me that Stila cosmetics would be available a few weeks back. So I did what any girl in her right mind would do and dropped what I was doing, got online and bought a bunch of makeup. 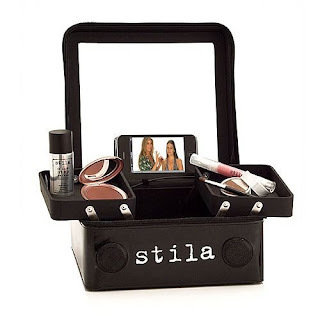 I am now also the proud owner of The Makeup Player by Stila, a makeup case that doubles as an MP3 player so that you can watch your favorite YouTube guru or listen to music while you are playing in your makeup. It is pretty fabulous. Right now Stila has a wonderful deal going on that allows you to select $70 worth of your favorite Stila cosmetics and then enter code MUPLAYER at checkout to receive The Makeup Player for free. ﻿Some of my Stila must-haves are: One Step Makeup, a primer, concealer and powder in one simple step, Sila Sun Bronzer and of course the infamous Stila shadow Kitten.